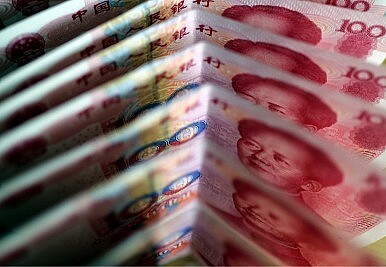 A Bank of International Settlements survey released on September 5 reveals that the renminbi (RMB) is now among the 10 most actively traded currencies in the world. This comes on the back of China’s recent draft plans to allow full convertibility of the RMB within the newly approved Shanghai Free Trade Zone (FTZ). Both events are intricately linked and are linked to deeper plans by the Chinese government to both internationalize the RMB and consolidate its influence and standing in global financial markets. This suggests that China’s global integration is no longer limited to trade, but is fast spilling over into the realm of finance. The establishment of the Shanghai FTZ is expected to provide a boost to the city’s ambitions of becoming a full-fledged international financial center by 2020. While the FTZ was formally approved in August this year, the draft plans pointing towards full convertibility of the RMB within Shanghai were revealed more recently. This comes on top of other plans to liberalize trade, interest rates and the establishment of foreign and joint venture banks in the Shanghai FTZ. Already, foreign banks such as HSBC, Standard Chartered and Citibank have expressed interest in setting up branches in the Shanghai FTZ. Importantly, the success of allowing RMB convertibility within the Shanghai FTZ will enable the Chinese government to gradually liberalize the RMB at the national level. This is in line with its plans to make the RMB a global reserve currency, with Shanghai potentially becoming a major center for RMB trade. However, plans to liberalize currency controls within the Shanghai FTZ are merely part of an overarching RMB strategy. As early as 2004, China had tapped Hong Kong to become an offshore RMB center, designating the Bank of China Hong Kong as an RMB clearing bank. This was followed by announcements in 2009 that London would follow suit. By mid-2012, both Hong Kong and London had become offshore RMB centers catering to a variety of institutions and enterprises. Singapore was next in 2013, with the Industrial and Commercial Bank of China designated as the RMB clearing bank in the city-state. Plans to liberalize currency controls within the FTZ suggest that Shanghai will become the fourth city to facilitate the RMB’s internationalization, albeit as an onshore center. Through the establishment of the three offshore RMB centers and full RMB convertibility in Shanghai, China can now encourage RMB use in several key markets. First, London provides an important bridge to European markets. Similarly, Singapore connects the emerging Southeast Asian economies to RMB funds and trade settlements. Given Hong Kong’s highly internationalized financial sector, it plays a particularly important role in connecting China to the rest of the world. This is a role that will be shared by Shanghai, with its pending emergence as an international financial center. As such, these four cities represent nodes through which China can expand its participation in global financial markets and encourage RMB trade and use. China efforts to internationalize the RMB are not new. It has even attracted some global support. In April, Australia announced its intention to introduce RMB into its mix of foreign currency reserves, becoming the third country after the US and Japan to establish a direct currency trading link China. This came days after China and Brazil signed a three-year currency swap agreement, a move away from using the US dollar as their benchmark. A Roadmap for China's Foreign Exchange ReformsWhy U.S. Must Get Over RenminbiChina: Get Ready for Turbulence3 Reasons Why Trump Can't Win a Trade War With ChinaThe Renminbi Joins the IMF's SDR Basket. Now What?